Yes sir!!! 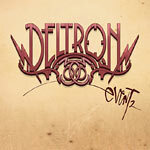 Deltron 3030 is back in space with Del rapping about his experiences over the best producer for his skill set, Dan The Automator! The intergalactic storytelling, the planet rocking beats, and all around great hip hop is back! The sequel is so dope and you need it in your life. Please listen to the sweet sounds on the track ''Do You Remember'' ft. Jamie Cullum! My gosh, the sample is dusty and ill, the sample is almost too much to handle, but our boy Del does just that as he creates another masterpiece! This is one sequel that won't disappoint!